Drain Cleaning Vallejo, CA | A+ Waterworks, Inc.
With everyday exposure to waste matter, it is normal to conduct drain cleaning in Vallejo, CA to avoid clogging over time. When you see signs of problems in your sewer system, it is best to promptly call sanitation service providers for drain cleaning in Vallejo, CA. A+ Waterworks, Inc. is a locally owned sanitation service provider that has been trusted for plumbing and sanitation services such as drain cleaning in Vallejo, CA and other parts of the North Bay. We understand that sanitation especially drain cleaning in Vallejo, CA is an urgent concern so we are open 24 hours per day, 7 days a week. Our sanitation experts start drain cleaning in Vallejo, CA by uncovering the cause of the problem. From there, they will provide you all the necessary information to help you plan an effective course of action for drain cleaning in Vallejo, CA. When Do You Know That It Is Time for Drain Cleaning? Vallejo, CA Residents, Take Note! Backflow is an indication that you need drain cleaning in Vallejo, CA. When water bubbles into your sink, shower, or tub, it is an indication that the drainage does not have a clear path. It is time to call for drain cleaning in Vallejo, CA. Blocked drains? Call A+ Waterworks for drain cleaning in Vallejo, CA. Sometimes, pulling some hair out of a shower drain does the trick to get water flowing again. However, if you notice complete blockage, it is possible that more blockage is hiding below your reach. It would be best to call for drain cleaning in Vallejo, CA. An overflowing toilet is a sign that you need to call the experts for drain cleaning in Vallejo, CA. If there is blockage in your outgoing plumbing, the water in your toilet will not have anywhere to go when you flush. Call A+ Waterworks immediately for drain cleaning in Vallejo, CA. Localized drain odor? Let the professionals for drain cleaning in Vallejo, CA help you get to the root of the problem. The most common causes of clogging, such as food and organic wastes, cause a distinct stink that comes up through your drains. If you notice an unpleasant smell around your sink or tub, call A+ Waterworks immediately for drain cleaning in Vallejo, CA. Low water pressure is another sign that you might need to call A+ Waterworks and schedule for drain cleaning in Vallejo, CA. If you notice a distinctive drop in water pressure that affects only one fixture, something must be blocking a portion of that piping. It is best to call for drain cleaning in Vallejo, CA immediately. Slow draining? Don’t be slow to call A+ Waterworks, the expert in drain cleaning in Vallejo, CA. Why Choose Professional Drain Cleaning? Vallejo, CA Residents Ask. Store-bought chemical cleansers are a little cheaper but they are notorious for leaving a portion of the blockage within your pipes. Professional drain cleaning in Vallejo, CA by A+ Waterworks, on the other hand, is conducted by experts whose skill and methodology ensure that the blockage is completely removed. Safety is the priority of professionals in drain cleaning in Vallejo, CA. Chemical cleaners can be hazardous and can lead to serious injury if not handled with care. 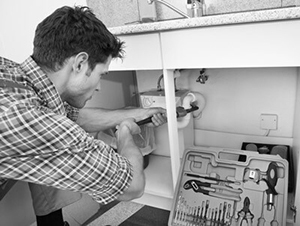 A+ Waterworks’ plumbers handle hundreds of drain cleaning in Vallejo, CA every year. They are experienced in doing drain cleaning in Vallejo, CA while utilizing precautionary measures. Efficiency is the backbone of experts in drain cleaning in Vallejo, CA. Store-bought chemicals don’t always treat the block the way they should. Professionals have access to specialty equipment that will surely treat the clog and address your need for drain cleaning in Vallejo, CA for the first time. You save money by choosing specialists for drain cleaning in Vallejo, CA. Chemical cleaners can potentially damage your pipes which can lead to costly repairs. This is why it is crucial to choose an established service provider for drain cleaning in Vallejo, CA.